And keeping with their heritage, L’Occitane named the collection after the way French Princess Hortense de Beauharnais, who was said to have the most beautiful milky complexion, would blush when someone paid her a compliment. Some cherry fragrances come on too sweet and strong for me, but this isn’t one of them. I think L’Occitane gets the notes just right. Last Friday night, while I was lathering up in the shower with the Pearlescent Shower Cream, which works up into a nice, rich foam, I also picked up a little tartness, freesia and the faintest whiff of lemon. I love the way they all go together here, and both the Hand Cream and Eau de Toilette exhibit similar notes. After I massaged the cream into my hands…and my body (I know that it’s meant for hands, but I thought my bod could use the extra moisture), spritzed the Eau de Toilette on my wrists and slipped into my new favorite Victoria’s Secret plaid pajamas (complete with matching slippers! ), the stress of the week melted away. omg @ Tabs’ best friend … LOL!!!! 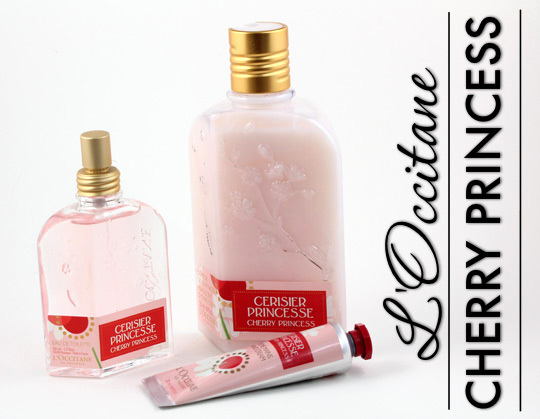 i love LOccitane lotions and hand creams and body lotions; and when done right, cherry is a gorgeous scent! im curiouis about this colleciton and ill definitely check it out in person! LOL, I think they met at a photo shoot! Anywho, I remember you saying you like their hand creams… I think I’m addicted to! I have to go by the counter sometime soon and pick up a few more tubes. They’re great! they are! i think one of my friends realized i love them so much because i had been giving it out for presents (little makeup bags filled w/ hand sanitizer, hand cream and a tiny mirror). she sent me a bunch of the hand creams for christmas! It was! Sometimes those mellow nights are the best. It’s been a while since I’ve sniffed A Perfect World (I usually do their Ginger scent), so I’ll have to give it a go next time I hit the counter! I just got an order from L’Occitane but didn’t get anything from this line. I have to try it next time. Cherries, love! Now I am curious to check this line out! Vonvon recently posted … Happy Lunar New Year Of The Water Dragon! I hope you give this line a sniff! It’s very pretty. Oh I can’t wait to check that one out! 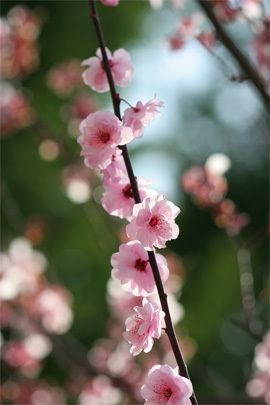 I have their regular Cherry Blossom products and not getting tired of it after a few years. I’m from Provence and, since moving abroad, have taken a rather pricey habit of popping by their shops whenever I’m feeling homesick. They don’t always get products right, but when they do boy are they nice! Shame on me Karen but L’Occitane, well… I do like some products from this brand ( Lait corporel au karitÃ©, Pivoine or Lavender ), but on the whole I prefer other French brands. There are 6 eaux de Cologne coming soon, I hope they are good. Pivoine won an award ( best fragrance for 2011 in its own category ), Cherry is also very nice, and Cerisier Princesse is a limited edition for Valentine’s Day so far I know. How long lasting is the scent of the hand cream?